“During the Vietnam war, a young US Marine named Sean Chambers is captured and imprisoned in a POW camp. During his time in captivity, revelations regarding his fate and his role in a much larger war comes to light…” This is the teaser description for author Mark Swaine’s second book in the Legend of the Red Sun Village series, The Crenshaw Serpent. When did you first know you would become a writer? “I have been aspiring to become a writer since the earliest ages of primary school, when I would be frequently pulled out in front of assembly (much to my embarrassment and my friends amusement) to recite short story’s that my teacher enjoyed. Films have played a huge part of my desire to write for living, one of the first times I was afraid for an onscreen character’s life was James Bond in Goldfinger when a laser was travelling between his legs and getting closer to his nuts. It was another film, the best film ever made that inspired me create my own mythology, Big Trouble in Little China. This film combines action, fantasy, horror, comedy, drama and martial arts. The opening scene with Egg Shen revealing his magic abilities blew me away as a kid. You’ve got two books in the series Legend of the Red Sun Village. What would you say to potential readers that would give them an idea of what to expect from the series? “People should most definitely read my books, and not just because I need to publicly boast that I have faith in it, but primarily because I strive to put the reader in the scene. Are there any challenges you have overcome that you would like to elaborate on in relation to your writing career? “In my experience challenges are ongoing, I’m hopeless at marketing, therefore I don’t know if my last book and the one before it failed as a result of my incompetence at marketing, or if they just aren’t that good. I’m learning to edit my own work by looking at what my previous two proof-readers did (I know it’s not the same). Juggling work, spending time with my children and writing isn’t easy. I’m quite happy to give up socializing (or my job) which I have done e.g. Last drink out was January, and no PS4 in two months, but I despise sacrificing time with my two babies. I’d rather be out playing with my girls at the park than writing a book that I can’t successfully market and put out into the world. “I have a quote (which my colleague Jayce won’t stop repeating) which I gave to a character called ‘General Arachie, General of the Jade Army’ in LOTRSV. A soldier asks him ”can we win this war?” and he replies with my quote ”We can, and we will,”. What advice would you give to a beginning writer? Any other information you would like to share with the public? Author Mark Swain can be found on Facebook, and his books can be purchased through AMAZON. Don’t have a Kindle? 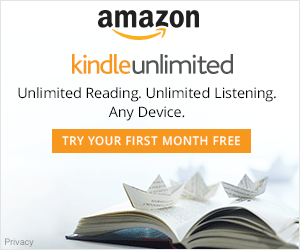 Get a Kindle e-reader HERE, or the popular and affordable FIRE tablets HERE! 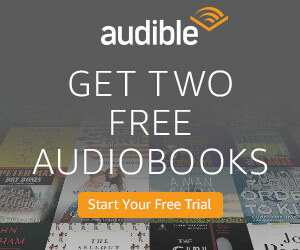 Or, get the Amazon Kindle FREE reading app! “In Their Own Words” blog series, CLICK HERE. Get the “I WILL READ UNTIL I DIE” shirt now! Get the Top Selling Books on Amazon.com!